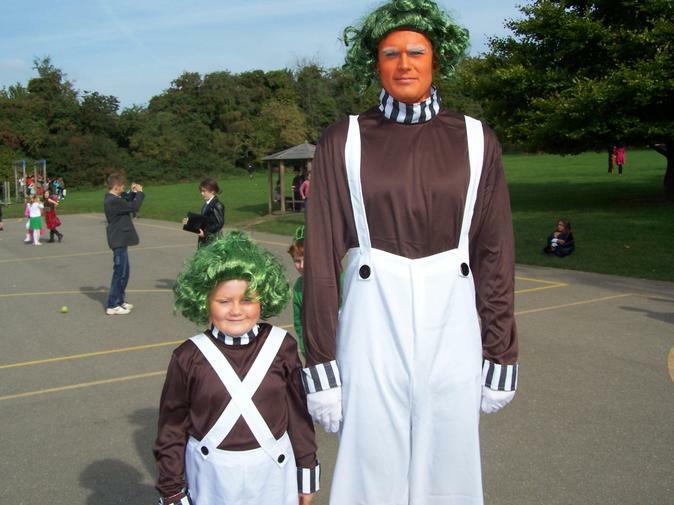 A flashbunkingly gloriumptious dress-up day for the Roald Dahl Children's Charity. Here Big Chief Oompah Lumpah meets one of his mini Ooompah Lumpahs. The winning class for co-ordinated and exceptional dress-up flair was 6W - who win a trip to the Roald Dahl Museum in Great Missenden next week.